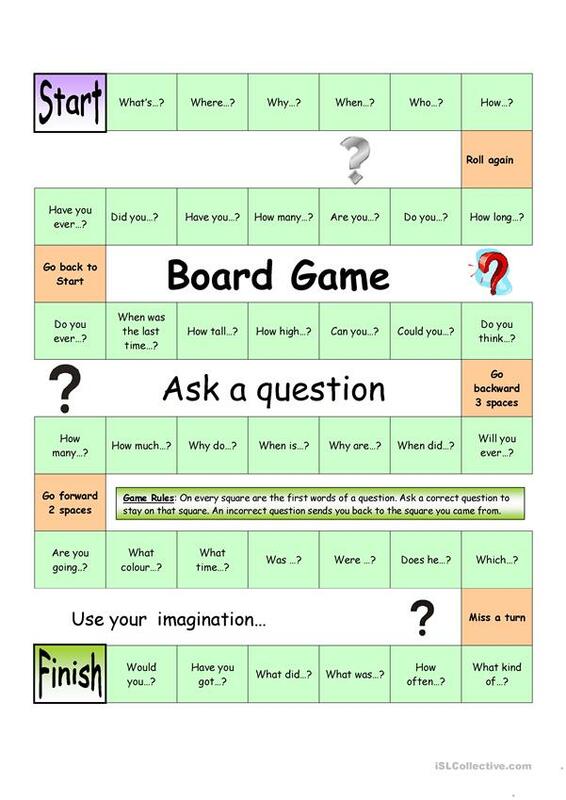 With this board game, students will practice asking questions. On each square, a question word or the beginning of a question is given. Students now ask the correct question, or else... Other students can then answer the question (either chosen at random or by the Â´askerÂ´). Especially suitable for smaller groups. (For bigger groups you could print more copies and split the class into groups, making sure to appoint a Â´teacherÂ´s assistantÂ´). Have fun! This printable, downloadable handout is a great resource for high school students and elementary school students at Elementary (A1) and Pre-intermediate (A2) level. It is valuable for consolidating Questions in English, and is excellent for honing your groups' Listening and Speaking skills. The solutions are provided, too.